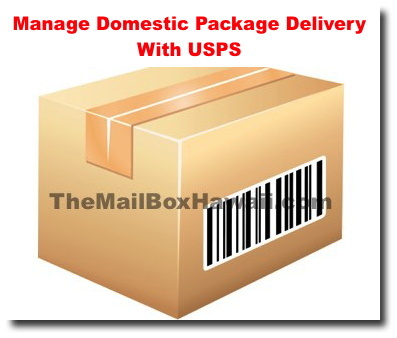 If you are expecting large a package but know you won't be home (and it won't fit in your mailbox), you have the option of providing the United States Postal Service some delivery instructions online and authorize your carrier to leave it in a specified location. To get started, click here to track your package and select "Delivery Instructions". You can request that your package be left with a neighbor or held at your nearest post office for pickup.